The payments of Banks have lately become extremely important for the financial system and their security is of even more importance. The advancement of technology and growing number of youth population has typically given a substantial rise to the digital payments and to its enabling scenario. This scenario also gives fraudsters ample opportunities to take the benefit of vulnerabilities of newly launched payment schemes. The same has been witnessed globally and lately in Pakistan as well. 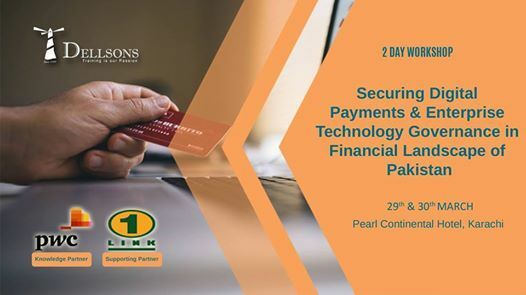 Recent cyber attacks on some financial institutions have served as an eye opener to financial industry of Pakistan. In wake of this, The State Bank of Pakistan vide its circular PSD 09 has given the banking sector a challenge and a tough schedule to meet. 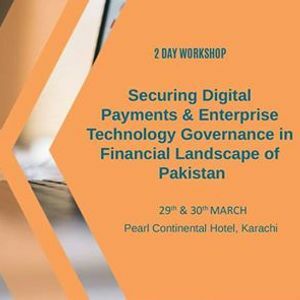 In this workshop, trainers from SBP will give clarity and rationale of the requirements given in this circular along with the regulatory expectations; whereas some other senior trainers from the commercial side shall give very useful tips for the effective and efficient implementation of the requirements.